Do you need puppy care games? There is no doubt about the fact that pets, especially dogs, are the one of the most effective stress relievers around because they greet you with so much warmth and love each time you step in to your house; best of all, right after a long and hard day at work! However, given the hectic and stressful lifestyles that the modern urban generation lead, it is really very difficult and challenging to keep a real pet but all is not lost because one can always rely on virtual puppy care games! 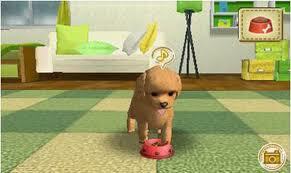 These games not only help in combating stress effectively but they are the closest thing to owing a real pet puppy! 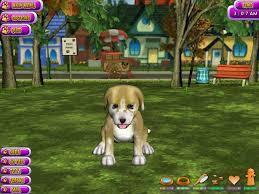 If you are interested in having a virtual puppy as a pet then you should try out puppy games online. There are two kinds of puppy games, the first being a superior and more complex version which allows you to save your game and have it running in real time. The second type is a simpler version which is meant for one-time enjoyment only in the sense that there is no possibility of saving the game for resuming it later. The puppy in the complex version would get hungry in real time and they would also have demands from time to time. Having a game that runs in real time is fun because you actually feel like you are looking after the puppy in real life, i.e. watching it grow and develop with each passing day! However, if you are just looking for a quick game in order to bust some stress at the workplace or to kill boredom at home then the second type of puppy game, i.e. the simpler one without the ‘Save’ feature would be apt. This is just right for those short periods of time when you want to be entertained. Puppy care games are also deeply appreciated and loved by kids because children in general adore puppies! 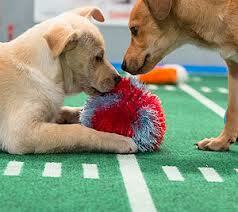 Puppy care games for kids can teach them to be responsible towards their pet and to care for them. These games can train the kids so that they will be capable of caring for a real puppy when they get one! Kids playing puppy care games would be in charge of feeding it food, teaching it new tricks, playing with it, interacting with it and so on. The best part about playing puppy games is that most of them are free of cost. This means that you can enjoy playing with them without shelling out a single penny! They say that the best things in life are for free, well this is true in case of these puppy games because they are just so entertaining, addictive and educational. Moreover, these games are also very rewarding and they allow you to be a proud owner, even if it is in case of a virtual pet puppy! Puppy care games are surely worth trying out at least once if you haven’t already. Just choose a breed of your preference and get started, you will have the time of your life!